Get to Know the Upgraded 2018 Jeep Wrangler Lineup at Meador Dodge Chrysler Jeep Ram! 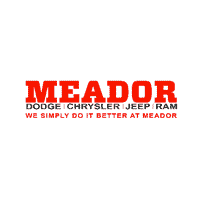 Travel in Style, Comfort and Convenience This Holiday Season in a New Vehicle From Meador Dodge Chrysler Jeep Ram! Test Drive a New 2019 Jeep Cherokee at Meador Dodge Chrysler Jeep Ram Today! Find the New Dodge Challenger or Charger Model of Your Dreams at Meador Dodge Chrysler Jeep Ram! Make the Whole Family Happy With the New Chrysler Pacifica Hybrid! Used Trucks, SUVs, Cars and More in Fort Worth, TX at Meador Dodge Chrysler Jeep Ram! Drive Home in a New 2018 Jeep Compass Model Today! Have Fall Maintenance Performed on Your Vehicle at Meador Dodge Chrysler Jeep Ram Today! Get Equipped For Back to School in the New 2018 Chrysler Pacifica! Check Out Our Large Volume of New and Used Cars, Trucks and SUVs at Meador Dodge Chrysler Jeep Ram in Fort Worth, TX!